Play Space Wars for real! Maybe it’s not even a bad idea to go outer space, far away from our own civilisation, especially after a long day at work. 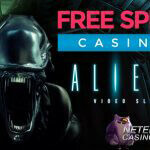 This shouldn’t be too hard when playing at one of the Netent Casinos as more and more space related themes get launched by Netent, with the Aliens video slot as an absolute highlight. 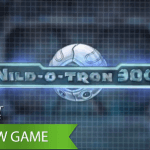 You can also go for a nice combination of aliens and robots while playing Alien Robots. Also a short history lesson about the origins of our planet is available in the Evolution video slot, while Big Bang is teaching about the Big Bang theory. One thing is for sure, you can get outer space really easy, just as easy as it is to meet up with other civilizations elsewhere in the Universe. The intergalactic theme of Space Wars has the power to take you in places you’ve never been before, perfect to escape from daily concerns while meeting up with a kooky bunch of aliens Space Wars is all about. Net Entertainment invites you to join the battle for galactic control in Space Wars, a game revolving around five extra-terrestrial species all fighting for the ultimate prize of a powerful crystal. Space Wars delivers the perfect mix of animations, sounds and 3D graphics that ensures you will keep coming back to take part in the space battle. This is also thanked to the extraordinary gameplay used by the designers with four symbols on every reel instead of the usual three. You’ll also notice a huge alien shaped Cloning Pod on the right side of the five reels, which has a key role to play. Space Wars is definitely one of the most detailed slots you can play in a Netent Casino, and I’m sure you will like the goofy aliens used for this theme, especially when packed together in the Cloning Pod. Space Wars offers players a huge variety of betting options with a minimum bet of 0.40. Although higher than usual, it’s still perfect for the average players. The reason why lower bets aren’t available is because no bet lines can be adjusted in this newer Netent video slot. Even better if you ask me, because how much fun can Space Wars be with just one bet line. The total amount of 40 bet lines for sure make Space Wars more dynamic as well as all the extra features involved as well. And if you’re ready to spice up the game even more, you can always increase the bet levels and coin values. With ten bet levels and five coin values from 0.01 up to 0.50, there’s always a perfect bet for you available while even high rollers will feel comfortable due to a maximum bet of 200.00. Join the battle for galactic control while playing Space Wars at one of the many Netent Casinos, where five extra-terrestrial goofy species fight for possession of a powerful crystal. Although I would never advice to get interrupted in other creatures disagreements, especially not when aliens are involved, but this time it can bring you excitement, fun and big wins if the Cloning Pod is doing what it supposed to do, create as many of the same terrestrial goofy species as possible. Space Wars is a fast-paced 40-line video slot where every spin counts. 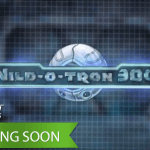 It’s not an ordinary video slot thanks to the original gameplay, featuring a Cloning Pod, Wild substitutions and a Re-spins, while the winning symbol is cloned and stacked on the reels giving the potential for even bigger wins, ensuring players will want to join this intergalactic battle time after time. 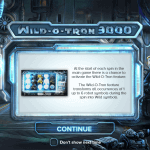 Although the Wild feature bonus is least interesting while playing Space Wars, it still has a big role to play. In the main game and in the re-spins, Wild symbols can only appear on reels 2 and 4 where it substitutes for all other symbols. The reason why this feature is so important is because it makes sure more winnings combination are generated. Also the Wild likes to gather together with other Wilds symbols, becoming Stacked Wild, responsible for an even bigger chance to make a combination. The more winning combinations, the more wins will be generated, but not only that, as it will also trigger the Cloning Pod to become active. Each affected alien to be sucked into the alien vessel on the right hand side before being cloned. This will trigger a re-spin as well. The winning symbol included in the bet line win appears in the Cloning Pod, being cloned where after all cloned symbols are spit out again by the Cloning Pod and added onto the re-spin reels. In the re-spin cloned symbol are shown stacked on the reels, making sure you won’t leave the re-spin feature without big wins. If you can’t be warmed up by all of this, then I’m afraid there’s not one game that will get you enthusiastic. 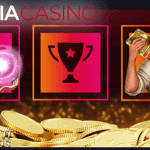 And maybe aliens aren’t your cup of tea, I’m sure the great gameplay, 3D graphics and a thrilling Cloning Pod animation are, just as the extra symbols on the reels as well as the Re-spins activated for every bet line win. Ok just to give you an extra reason why you should give Space Wars a try at one of the Free Netent Casinos, the high theoretical return of 96.8% could do.